You have to look at climate change over a period of years, not just one summer…You could always have one abnormal summer. But when you see one after another after another then you can see, yeah, there’s a pattern here. She then went on to say that DHS, which includes the Federal Emergency Management Agency (FEMA), was incorporating climate change risk into its planning. 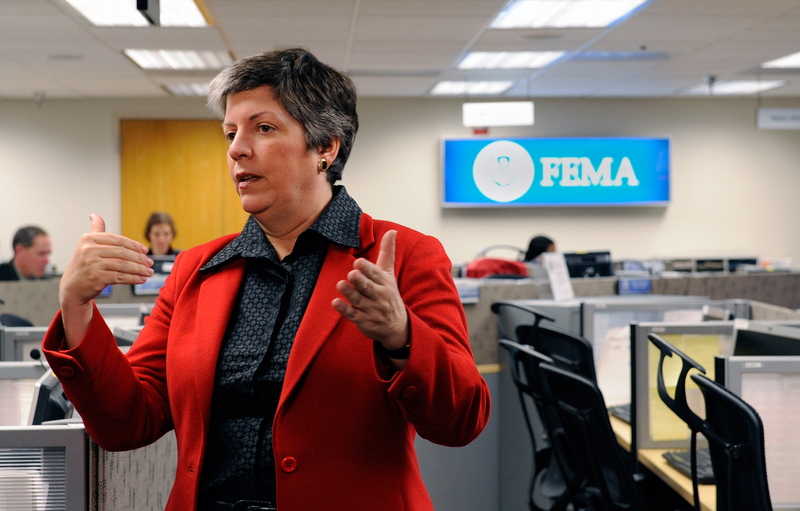 Indeed, during her tenure climate change was identified as a security threat in both DHS’s 2010 Quadrennial Homeland Security Review Report, and FEMA’s Strategic Foresight Initiative, which also began in 2010. DHS also recently announced its decision to include climate change adaptation in its National Infrastructure Protection Plan. We wish her well in her new endeavor. By Caitlin Werrell and Francesco Femia in climate and security on July 12, 2013 .